Tamaris brings us 28304/20/909 PADULI 81. 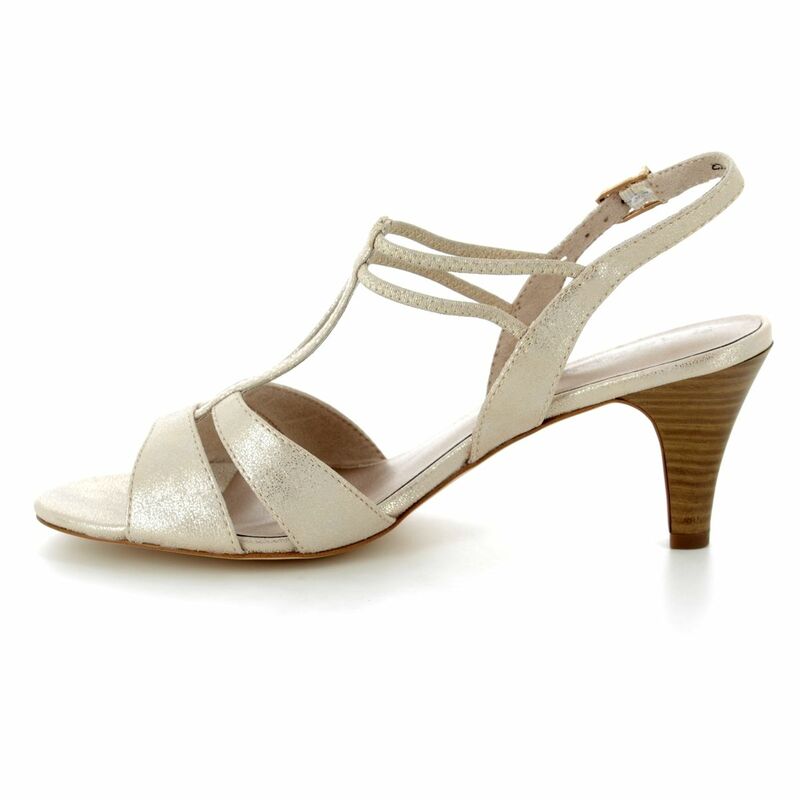 These gorgeous gold heeled sandals can be styled to be worn day or night for a stylish look. The delicate straps are made from a soft synthetic material and form a classic T-bar shape that is very flattering. There is a buckle fastening on the ankle so you can adjust the fit to suit your foot. The funnel heel looks feminine and measures approximately 7cm. Style with blue jeans and a silky vest top for a casual day look or wear with a formal dress for a summer wedding. Buy your Tamaris women's sandals from Begg Shoes, an official Tamaris stockist.